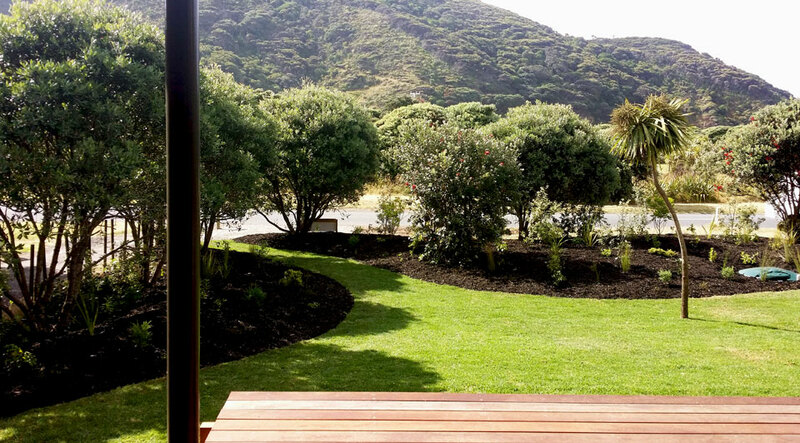 Beach house garden - Landscape design, garden care services and gardening maintenance with Auckland landscaping company Second Nature Landscapers New Zealand. 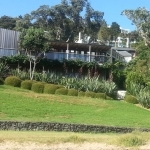 The landscape designer’s response to a brief for a beach house garden will be determined by the coastal conditions and the style of the architecturally designed beach house. 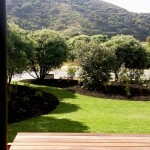 These gardens can be lush or hardy to suit the conditions. 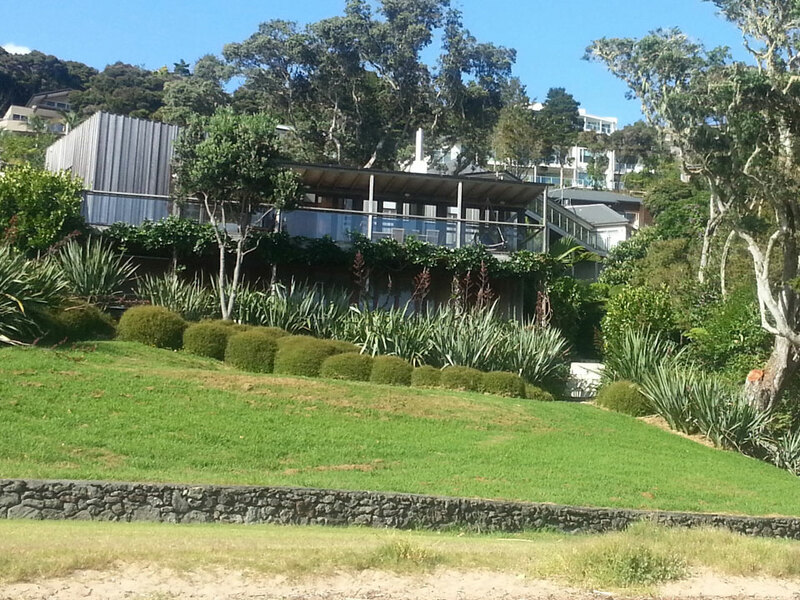 As you’ll see in this image, plant types that are already established and are flourishing in the area were incorporated to create a harmonious setting for the simple form of the beach house, anchoring it to the sloping site.